One of the most fun things about this past year has been my involvement with food52. The weekly challenges have made me look at cooking in new ways, and there’s a real sense of camaraderie there that isn’t present in a lot of other online forums. I have met, virtually and in person, so many great people, have become aware of a ton of new-to-me food blogs, and have been hugely inspired by the great dishes being put forth every week by the food52 community. This dish is one that caught my eye a while back, and with cold, stormy weather headed our way, I knew it would be perfect for last night’s dinner. It comes from Brooke of not lazy. rustic., and it was just as delicious as I thought it would be. The Point Judith squid, inexpensive and sustainable, came from Mercato del Mare, and it became incredibly tender as it simmered in a bath of red wine, stock*, tomatoes, and aromatics. The olives really made the dish, mellowing as they cooked ever-so-briefly in the stew and leached a bit of their briny flavor into the rich broth. If you’re looking for a new take on seafood stew, give this one a try. *Brooke’s recipe calls for clam juice, which we didn’t have, so I substituted an equivalent amount of Maine shrimp stock that I had in the freezer. this inspired me. i’m so glad that you enjoyed the stew (i was crossing my fingers tuesday evening, knowing you were making it) – thank you so much for your kind words. oh, and food52 has done so many good things for me as well. it’s become such a great community to be a part of week after week. Yum! Looks fantastic! I am so happy to be involved with Food52 as well…your blog/recipes is one of the best things I’ve discovered from there! Winnie – Thank you! Your turkey pho is on my list – I had my husband stash away our turkey wings and the rest of our stock just for the purpose of making it! Looks delicious! Squid and olives? Who would have thought they would go together? 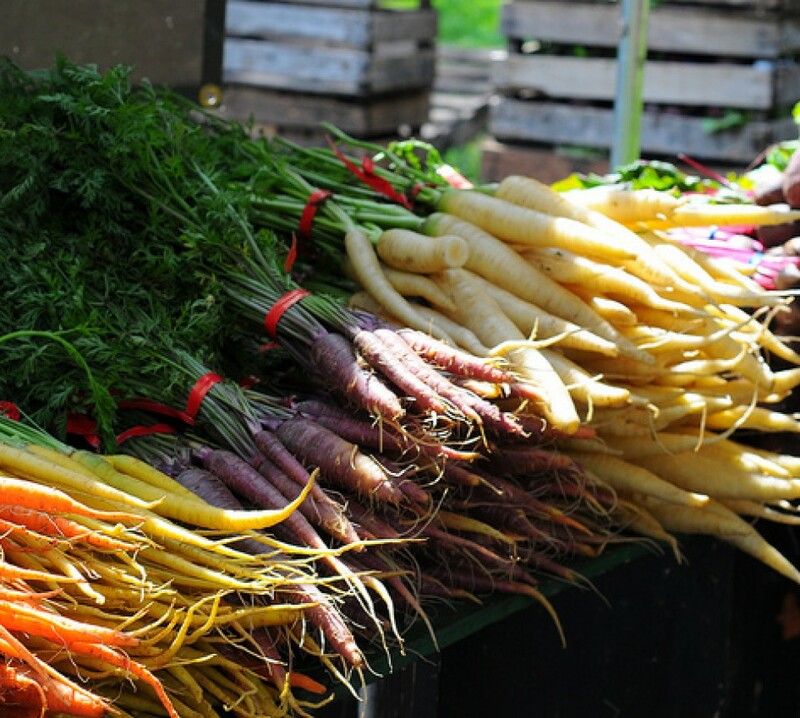 Do you think this recipe could work with fish? Thanks for sharing! I bet different seafood would work really well in this – probably just add it in closer to the end of cooking time, if you’re working with something more delicate than the squid. jennifer, i too love the warmth amongst the community of food52. i discovered your beautiful blog through that forum. 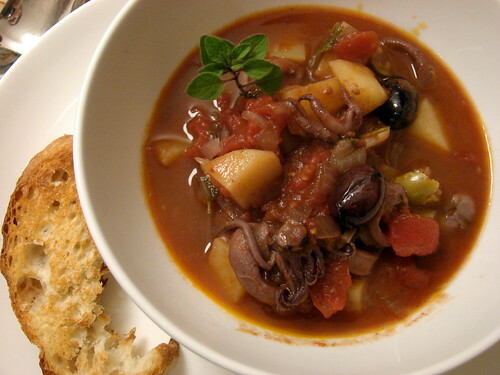 i love squid stew, this is a lovely dish, w the potatoes and olives. my friend in italy was from florence, her mother taught me how to make calamari in zimino- they add a lot of red wine in it! Thanks so much for linking to this recipe – it was amazing. The squid had a slight rubberiness, which wasn’t unpleasant but I wonder if I had cooked it longer in the stew before adding the potatoes if it would have gotten more tender. Thoughts? Thanks again, this was an unctuous, hearty hit. brooklynada – I bet cooking the squid a bit longer would definitely help. I think the acidity from the wine and tomatoes helps to tenderize it, so more time would probably do the trick.